In recent years delivery apps like Foodora or Just-eat have started a revolution for restaurants, making delivery services super easy for customers with their websites and apps. The opportunity for us, though, revolves around the fact that these companies haven't really worked with the low end of the market. Cafès and small shops that offer fast food, especially at lunch, usually cannot deliver food, and most importantly they usually are inefficient because of timing issues. ​This is where FOODINI comes in play. 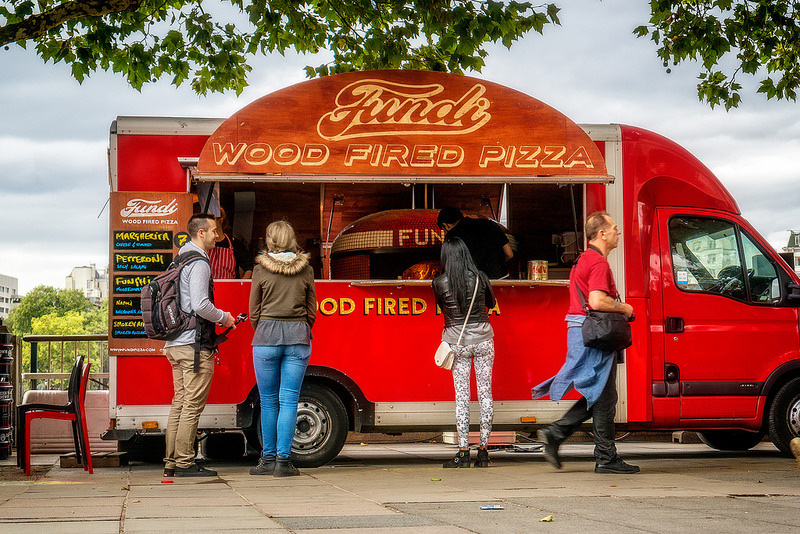 With FOODINI small businesses will be offering customers the possibility to pick up the food that they've comfortably ordered on their phone, they can become more efficient by predicting demand. Is the market ready for a service like this? We like to believe that the proliferation of food requesting apps and services really goes to show that people know what they want and they want to get it as quickly as possible, so giving consumers the possibility to choose what to have with a precise pick up time when they have really little might just be what they need. Also as "Fast food booms as French consumers look for affordable quality" (Euromonitor, 2010) and with online ordering expected to grow, with trade sources saying that the service is predicted to reach 10% of overall sales in fast food by 2019, we feel confident enough to say FOODINI could work in the market.